How does alcohol affect HbA1c? David Wiss MS RDN describes the relationship between alcohol and glycohemoglobin (HbA1c) from a biospsychosocial perspective. Alcohol lowers HbA1c levels significantly and many researchers have concluded that alcohol is protective against T2DM. Sounds strange doesn’t it? What are the mechanisms? Is it the alcohol itself or is it people who drink alcohol? Are group differences in this relationship due to social or biological factors? Until more research is done, we have more questions than answers. Find out what we do know here and next time someone asks “does alcohol affect HbA1c?” you will be ready to chime in! Wiss, D. A., & Waterhous, T. S. (2014). 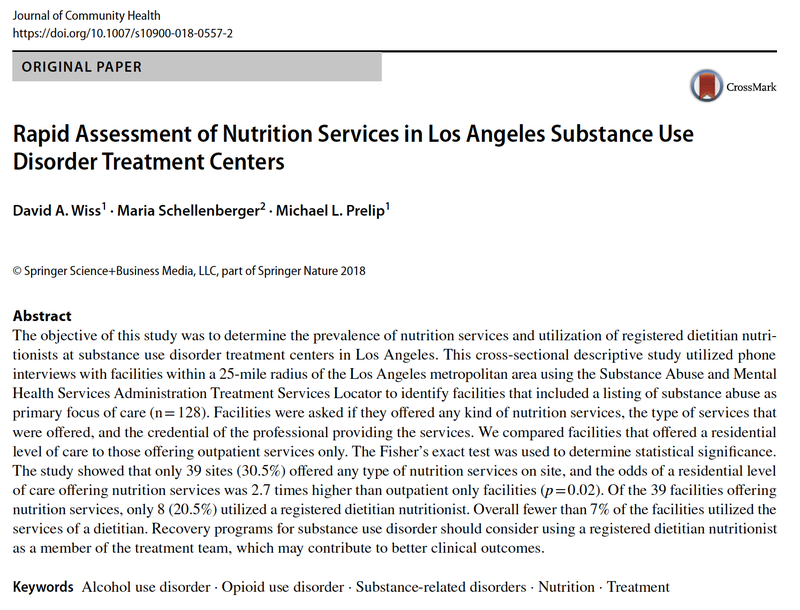 Nutrition therapy for eating disorders, substance use disorders, and addictions. In Brewerton, T. D., & Dennis, A. B., Eating disorders, substance use disorders, and addictions (pp. 509-532). Heidelberg, Germany: Springer Publishing. Specter, S. E., & Wiss, D. A. (2014). Muscle dysmorphia: Where body image obsession, compulsive exercise, disordered eating, and substance abuse intersect in susceptible males. In Brewerton, T. D., & Dennis, A. B., Eating disorders, substance use disorders, and addictions (pp. 439-457). Heidelberg, Germany:Springer Publishing. Is There Science to Sugar Addiction? Is There Science to Sugar Addiction??? I know, I know, I know…food addiction and sugar addiction are controversial topics, especially in the eating disorder community, where any kind of “diet” beliefs or behaviors are viewed as harmful. I agree that many of the proponents of sugar addiction and food addiction carry a very punitive “food negative” message. Is there a way to accept the science of food addiction AND be “eating disorder friendly” at the same time??? That takes skill. One has to be able to hold multiple things true at the same time, and separate emotions and personal bias from their work. But it can be done!!! In fact, it HAS TO be done! 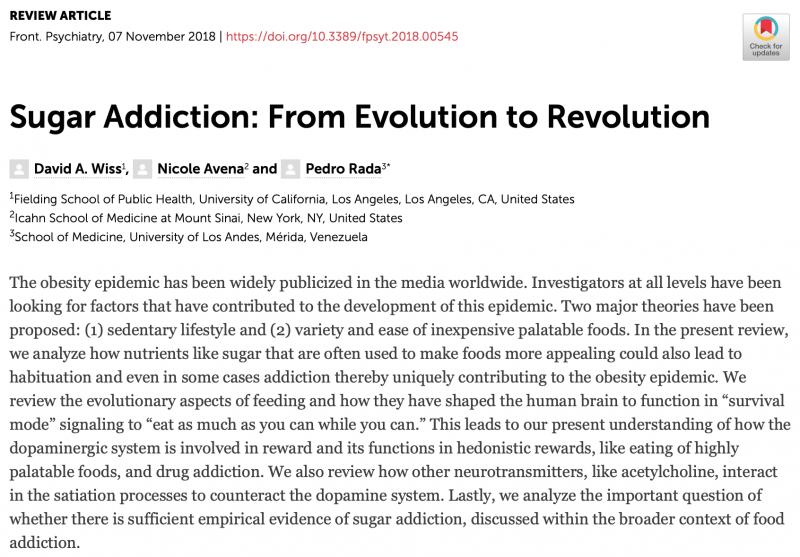 Our latest publication: “Sugar Addiction: From Evolution to Revolution” has been recently published in the prestigious Frontiers in Psychiatry. I will say this was the hardest peer-review I have ever gotten through! It is published OPEN ACCESS so download it HERE. For those who work with eating disorders, there is a special section to address the controversies! Enjoy! Feedback always welcomed. Want to learn more about Food Addiction? Check out our FAQ page on it. Want to learn more about Eating Disorders? We got that too. Nutrition in Recovery specializes in the nutritional management of addictions, eating disorders, body image, mental health, and weight management. We offer group education and individual counseling. We love to help people finally make peace with food and exercise. 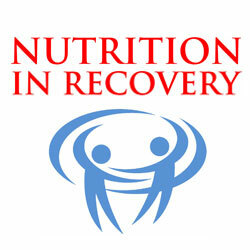 Nutrition in Recovery also offers general wellness services, sports nutrition, and medical nutrition therapy for various chronic diseases, including gastrointestinal issues. Whatever brings you into our office, we are prepared to help you on your journey to recovery. We pride ourselves on being flexible with different food philosophies. We do not believe that any single food philosophy works for all people. In fact, we think that only having one food philosophy is not scientific. We are skilled in making an individual assessment in order to figure out the best treatment approach for you. We have a team of experts at Nutrition in Recovery and can therefore get you in touch with the best person for your specific needs. 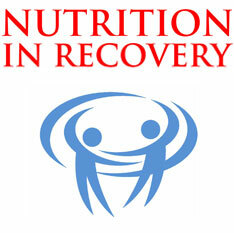 Nutrition in Recovery is thrilled to announce our new monthly newsletter! Get the latest information on Nutrition for Addiction and Disordered Eating! Check out our latest video on Attentional Bias! This video is about Attentional Bias, which is the tendency for one’s perception to be affected by their recurring thoughts at the time. In other words, one’s bias towards noticing what they are already thinking of. How does Attentional Bias related to Disordered Eating? Find out! 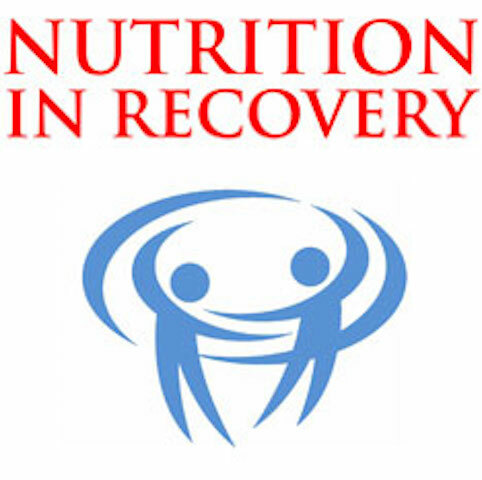 Nutrition in Recovery is thrilled to announce our new monthly newsletter! Get the latest information on Nutrition for Addiction! Check out our latest video on Food Politics! 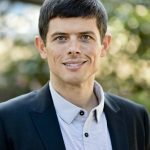 Have thoughts about Food Politics? Reach out to us, we would love to hear your thoughts!